Joel and Ethan Coen’s “A Serious Man” was selected as the best film at the Toronto International Film Festival by an overwhelming majority of film critics and bloggers indieWIRE polled over the weekend. With more than 25 writers were surveyed in five different categories, the Coens latest took top honors as Toronto’s best narrative film, finding a place on nearly every single ballot. 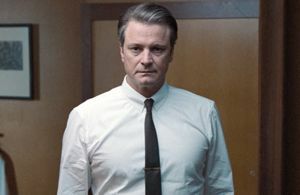 Erik Gandini’s “Videocracy” was named best doc, Colin Firth’s work in “A Single Man” was deemed best lead performance, “Precious”‘s Mo’Nique and “Up In The Air”‘s Anna Kendrick tied for best supporting performance (perhaps an inkling towards this year’s best supporting actress race? ), while Karyn Kusama’s Diablo Cody-written “Jennifer’s Body” was considered the fest’s worst film. “A Serious Man” – being released in theaters October 2nd – was also tops in a supplementary poll that indieWIRE ran through the week, asking critics and bloggers to give a letter grade to 34 of Toronto’s most buzzy titles. Along with Jason Reitman’s “Up In The Air,” the Coens’ film was among the only titles to receive an “A” level average. Unlike last year’s edition of this survey, which was topped by Hirokazu Kore-Eda’s “Still Walking,” films that premiered at festivals much earlier in the year – most notably Cannes (“A Prophet,” “Fish Tank”) and Sundance (“Precious”) came into considerable play in the poll. However, this repetition of favorites didn’t seem to frustrate any of those polled. A scene from Tom Ford’s “A Single Man.” Image courtesy of TIFF. Check out all of indieWIRE‘s coverage of the festival here. ** Richard Kind, Fred Melamed, Sari Lennick, Aaron Wolff and Benjy Portnoe received a combined total of 11, though individually no one got more than 3.